Broccoli tastes AMAZING in this creamy broccoli salad! This slightly tart and semi-sweet creamy dressing completes it all! It may just be the best broccoli salad you’ve tried! A total must try especially if you want broccoli to taste delish! 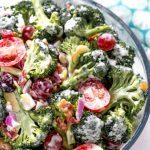 This broccoli salad is like the one I posted back in the year when I started my blog. Shared by Marina 3 years-ago it’s still one of those delicious broccoli salads. Though slightly altered this recipe can easily be tweaked as honey can be used in place for the sugar and almonds can be totally omitted. If you think you’ve tried the best broccoli salad then wait until you try this one! 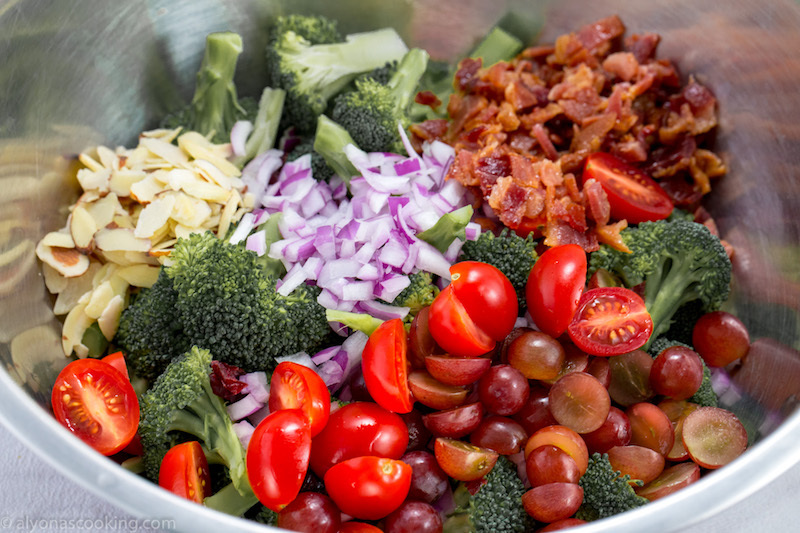 From plump Craisins to green broccoli this may be the only broccoli salad variation you’ll want and the dressing–phenomenal! 1. In a large bowl combine all the salad ingredients. Whisk together the dressing ingredients and toss with the salad. 2. 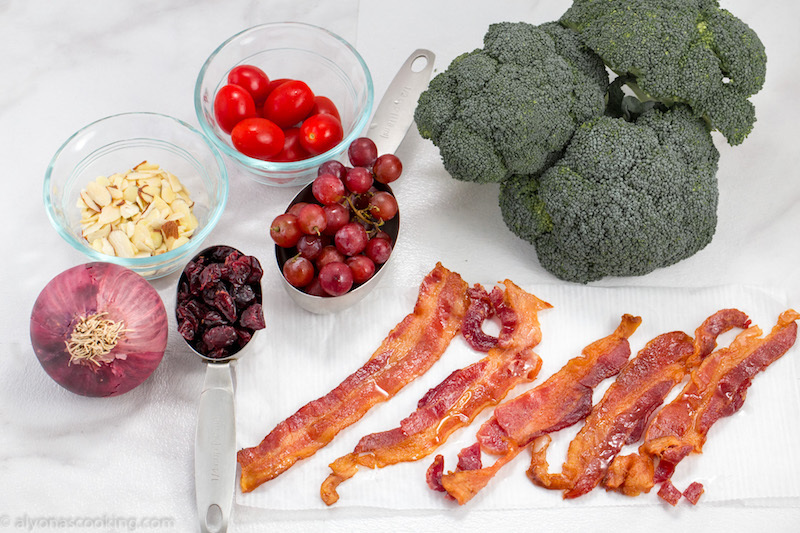 TO MAKE AHEAD: Combine salad ingredients and keep refrigerated. Toss with prepared dressing before serving. Broccoli tastes AMAZING in this broccoli salad! This slightly tart and semi-sweet creamy dressing completes it all! It may just be the best broccoli salad you've tried! A total must try especially if you want broccoli to taste delish! In a large bowl combine all the salad ingredients. Whisk together the dressing ingredients and toss with the salad. TO MAKE AHEAD: Combine salad ingredients and keep refrigerated. Toss with prepared dressing before serving. Such healthy and tasty salad; had it this morning and wanted to give feed back. Thank you very much! this salad is truly amazing!! You are welcome! Thank you for the feedback!